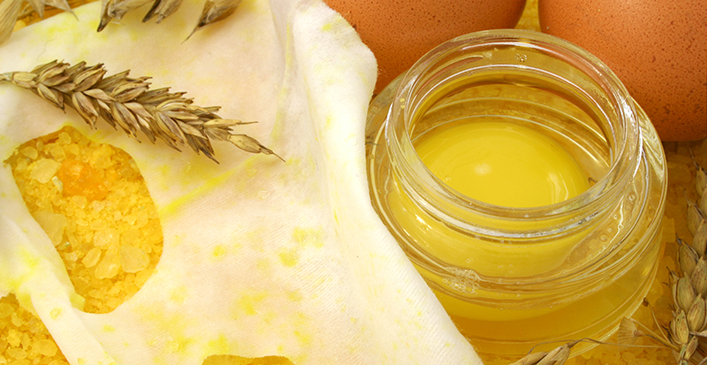 Eggs are often combined with other foods to create face and hair masks. Generally just the egg whites are used for the face, but the yolks can be whipped up for hair treatments. When eggs dry on the face, they tighten up the pores and smooth the skin. Because eggs are high in protein, they also help with nail and hair growth when applied directly and then washed off.